Legendary quarterback Joe Namath once said, “When you have confidence, you can have a lot of fun. And when you have fun, you can do amazing things”. As Namath recognized, feeling confident is a prerequisite for enjoying a game and for having success on the field. When you feel anxious or uncertain in your abilities, this mindset can ruin the experience of playing a sport. Confidence is especially important for young athletes, since kids and teens are very susceptible to feeling self conscious. 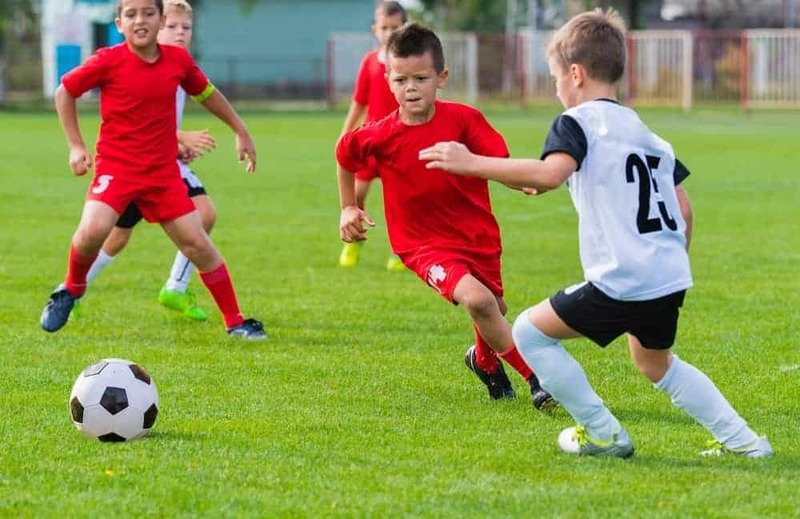 Fortunately, there are a number of techniques young players can employ to build confidence. To help the readers of our blog, Rocky Top Sports World has put together a guide to three of the best strategies for boosting confidence. An essential part of playing any sport is taking chances and risks. When young athletes are afraid of failure, they often decide that the safest thing to do is nothing at all. Rather than face the prospect of missing a shot and humiliating themselves in front of their friends, they may tense up or make an ill advised pass just to get rid of the ball. The key to overcoming this anxiety is to recognize that it’s OK to fail. Michael Jordan missed 50.3% of all the shots he took during his career. If the greatest basketball player of all time missed more shots than he made, young athletes shouldn’t feel bad about trying and failing! As the great Wayne Gretzky said, “You miss 100% of the shots you don’t take”. “I can’t do this. It’s just too hard. I should give up”. Replacing negative thoughts with positive ones can make a world of difference in a young athlete’s performance. Of course, the best way to prepare for a game is by practicing. When young athletes lack confidence, however, they might feel overwhelmed by how much they have to learn. If a basketball player is bad at making free throws, practicing this skill in front of everyone could make him anxious and may overshadow the rest of the practice session. One way to avoid this problem is by starting practice with easy tasks that everyone is good at. Successfully making a string of layups will build confidence in a player, so when it’s time to shoot some free throws, he won’t get as nervous. Warming up with simple tasks right before a game is also an excellent strategy for getting your team in a positive mindset. Rocky Top Sports World is one of the best youth sports tournament destinations in the country. Located minutes away from all of the attractions, restaurants, and shops in downtown Gatlinburg, TN, our 80 acre sports campus offers breathtaking views of the Great Smoky Mountains. With seven fields, six basketball courts, 12 volleyball courts, and an onsite grill, our athletic complex has everything you need to host an incredible sports event. To learn about everything going on at Rocky Top Sports World, check out our Smoky Mountain Sports Events Calendar. This entry was posted in Trends in Youth Sports on February 27, 2017 by rockytopsports.